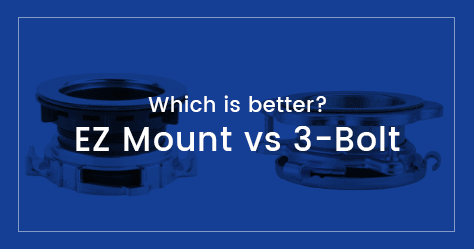 3 Bolt vs EZ Mount - Which is Better? Today I read in a popular blog that InSinkErator makes only EZ mount type garbage disposals, and that they are called ‘Quick Lock Sink Mount’. This is absolutely wrong. Insinkerator makes only 3-bolt type garbage disposals, atleast most of theirs are so. See the 3-bolts? (one is on the other side, you can’t see). If you look at pictures of InSinkErator disposals you can see all of them have these 3 bolts. 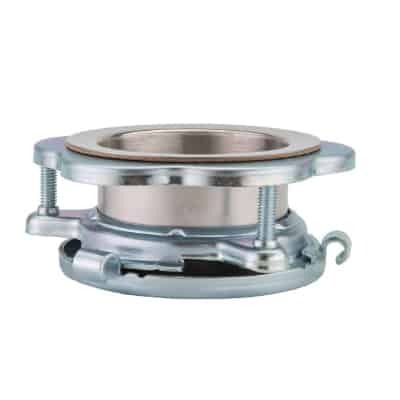 Seen mostly on Waste King garbage disposals, an EZ mount disposal is very simple to install. Chekc this video and see how a Waste King garbage disposal with EZ mount is installed. So why are there two different mounting systems? Isn’t it better if all disposals followed a standard system? An EZmount disposal is easy to install, as you can see from the video it only takes a few minutes of your time. On the other hand, a 3-bolt disposal takes an additional 10-15 minutes. One great advantage of a 3-bolt system over an EZ mount is it is more sturdy. The mount is usually made of stainless steel which is much durable. It can also be tightened more which reduces vibrations and hence noise. On the other hand, the EZ system excels in convenience. Not only that the installation is easier, the splash guard of such a disposal can be easily removed for cleaning. The bottom side of splash guards gets dirty very fast so regular cleaning is much recommended. But in the case of a 3-bolt system, the splash guard cannot be accessed from the top. For this, the disposal will have to be dismounted. This is a real inconvenience and is a major drawback of the 3-bolt system.